I took this photograph November 2012 at Westminster Abbey. People honor their loved ones by including their names on a cross as memorial. Today the United States honors our country's veterans with Veterans Day, but have you ever wondered why it is celebrated on November 11th? November 11th is an important date in history. It was on the eleventh hour of the eleventh day of the eleventh month of 1918 that the First Great War (aka World War I) ended, the end of “the war to end all wars.” (Technically speaking the end of the war occurred on June 28, 1919 with the Treaty of Versailles, but we honored the day that fighting stopped, the day the armistice was put into place - November 11th). Today in the Commonwealth, November 11th holds many names: Armistice Day, Poppy Day, or as it has become to be known: Remembrance Day. 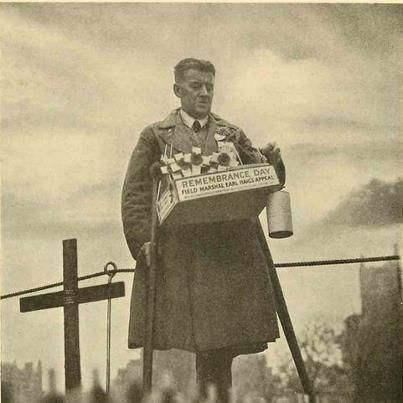 November 11th was first remembered by President Woodrow Wilson: "To us in America, the reflections of Armistice Day will be filled with solemn pride in the heroism of those who died in the country’s service and with gratitude for the victory, both because of the thing from which it has freed us and because of the opportunity it has given America to show her sympathy with peace and justice in the councils of the nations…"
Though it was previously celebrated in America on May 13, 1938, November 11th was proclaimed a legal holiday— Armistice Day, but 1954 the word Armistice was replaced with the word Veteran to honor all who served in our nationals' wars. This change went into effect on June 1, 1954. In the United Kingdom they celebrate their Veterans Day - Armed Forces' Day - on June 27th. 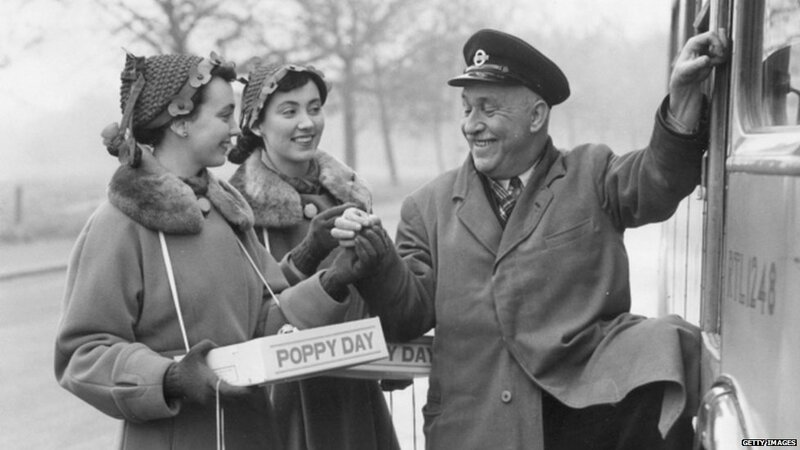 The first official Legion Poppy Day was held in Britain on November 11, 1921. Poppy Appeal is the simple act of buying and wearing a handmade poppy. However it represents a good deal more. In 1921, French Secretary Madame Guerin suggested that artificial poppies should be made and sold for the purpose to help ex-Servicemen and their families. In 1921, the poppies were purchased from French organizations and the funds supported children in areas devastated from war. In that year they raised £106,000 through the Poppy Appeal. Field Marshal Earl Haig and Founder-President of the British Legion ("The Royal" prefix was added in 1971) made the Poppy Appeal an important backbone to the Legion to aid all service men and women and their families in times of need. 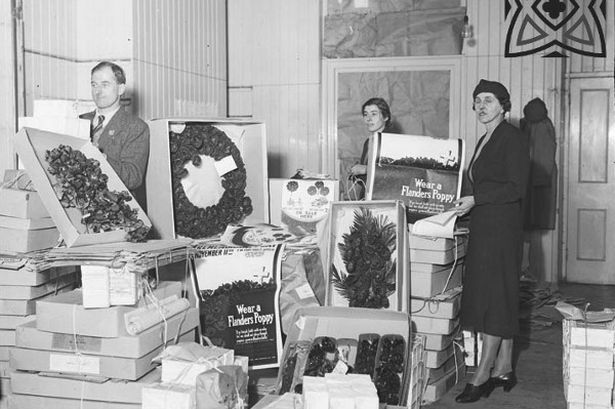 Ex-Servicemen also worked in the factories making poppies (the Legion had their own Poppy Factory), a practice which started in 1922 with five disabled ex-servicewomen. According to 2010 statistics: there are 50 ex-service men and women employed to manufacture 27 million artificial poppies, 113,000 wreaths, and 800,000 Remembrance crosses. The money earned from the poppy sales helps bereaved families, wounded service men and women, younger veterans seeking employment and housing, and older veterans needing age-related care. 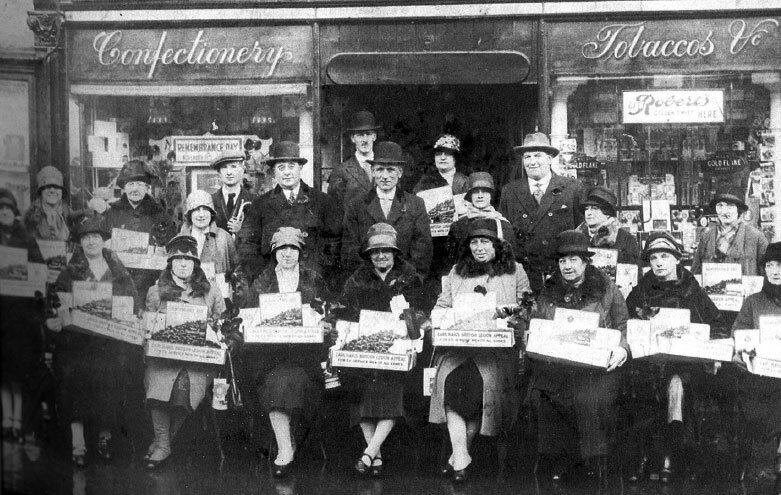 The Poppy Appeal has existed for over 90 years and continues to provide aid to former service men and women and I was able to find a few archival images of some of the men and women who have made and sold poppies over the years. Whether you live in a Commonwealth country or the States, I hope you take time today to remember those who have served in the armed forces.